Lennox International is involved in the heating, air conditioning, and refrigeration markets. The question needs to be asked: what made the company so hot as to recently disclose to the DOJ and SEC an investigation into a $475 payment in Russia to release a shipment of goods being held by customs officials? The disclosure is arguably one of the most absurd FCPA disclosures ever. 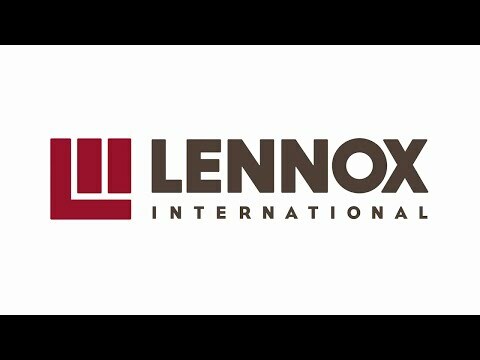 Lennox’s decision to disclose was presumably a business decision made by the board of directors or audit committee based on the advise of FCPA counsel. If FCPA counsel did indeed advise company leaders to disclose, that advise needs to be seriously questioned. Given the amount of the payment at issue and its apparent limited nature, few FCPA practitioners would likely have counseled Lennox to voluntarily disclose. This alone should be questioned. The disclosure also should be questioned, more fundamentally, because of the FCPA itself. The FCPA’s anti-bribery provisions specifically exempt “facilitating or expediting payments to a foreign official … the purpose of which is to expedite or to secure the performance of a routine government action by a foreign official …”. The FCPA defines “routine government action” as an action which is ordinarily and commonly performed by a foreign official in: (i) obtaining permits, licenses, or other official documents to qualify a person to do business in a foreign country; (ii) processing governmental papers, such as visas and work orders; (iii) providing police protection, mail pick-up and delivery, or scheduling inspections associated with contract performance or inspections related to transit of goods across country; (iv) providing phone service, power and water supply, loading and unloading cargo, or protecting perishable products or commodities from deterioration; or (v) actions of a similar nature. The FCPA’s legislative history clearly reflects Congress’s intent regarding facilitating payments. Even if the payment Lennox disclosed would not fall under the FCPA’s facilitating payment exemption, there is of course the FCPA’s obtain or retain business element. At least three courts have concluded that payments outside the context of foreign government procurement – as the payment at issue in the Lennox disclosure surely would seem to be – do not even violate the FCPA. The only court to have concluded that such payments could violate the FCPA was the 5th Circuit in U.S. v. Kay, a case concerning payments to Haitian customs officials for the purpose of reducing customs duties and sales taxes owed to the Haitian government. According to the court, the key question of whether the payments constituted an FCPA violation depended on whether the payments were intended to lower the company’s costs of doing business in Haiti enough to assist the company in obtaining or retaining business in Haiti. For the reasons highlighted above, it is difficult to see how the payment disclosed by Lennox is even in violation of the FCPA as written, the FCPA as interpreted by the courts, and the FCPA as intended by Congress. In short, some serious questions should be asked about why Lennox made its recent disclosure. Among the questions that should be asked concern the role of FCPA counsel who, if this instance of FCPA scrutiny follows the typical path and results in typical in pre-enforcement action professional fees and expenses, stand to pull in millions.